As an active community situated in both Will County and Kendall County, Illinois, the village of Plainfield has seen a quick rise in population and a major building boom that began back in the 1990s. Today, the population has nearly tripled since the 1990s, with more than 40,000 residents. Visitors and residents of Plainfield enjoy the county’s forest preserves used for a variety of activities including bird watching. Many families moved to the Plainfield area because of its quick access into Chicago, especially into the downtown metropolitan area. Residents can use the Chicago PACE suburban bus system along with U.S. highways 66 & 30 and Interstate 55, which when built in the late 50s relieved much of the extreme traffic congestion. However, the community still has its share of vehicle accidents. The Plainfield personal injury attorneys at Rosenfeld Injury Lawyers LLC provide legal representation to residents and visitors of Plainfield, Illinois who suffered serious injuries in an accident or job-related incident. If your loved one suffered injury in an accident or while on the job, our attorneys invite you to contact our legal office for a free case consultation to discuss your legal rights and options. We accept every wrongful death lawsuit and personal injury claim for compensation through contingency fee agreements. This arrangement postpones your need to pay for our legal services until we have successfully resolved your case in a negotiated settlement or jury trial. Our legal team provides every client a “No Win/No-Fee” guarantee. This promise ensures you owe us nothing if we are unable to obtain compensation to recover your damages. Whenever a resident or visitor suffers serious injuries caused by a vehicle accident, it is often because of negligent or careless actions of another driver. Without proper legal representation, there is no guarantee that the responsible party’s insurance company will compensate the victim’s medical bills or financial expenses. Because of that, it is essential to hire an experienced Plainfield personal injury attorney. In fact, insurance companies keep expansive teams of legal advisors on retainer that work hard at minimizing settlement claims for vehicle accidents, especially in cases where the victim suffered injury. Many times, the claims adjuster will attempt to provide a financial settlement for the claim quickly in an effort to minimize the chances that the victim will hire an experienced personal injury attorney. Serious Injuries Are Involved – Any victim that has suffered serious injuries because of an accident caused by another should file a financial compensation claim. It is best to hire a skilled attorney because the victim is likely suffering from health issues that have long-lasting repercussions and requires substantial financial recompense. Underinsured or Uninsured Motorist – If the driver responsible for the accident is either underinsured or uninsured, it is essential to hire the skills of an experienced personal injury lawyer that specializes in vehicle accidents. The attorney can find a variety of other remedies for seeking financial recompense to cover the victim’s ongoing medical and financial expenses. 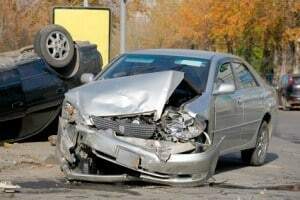 Disputing an Accident – In some accidents, there may be a dispute between the police and/or both parties of exactly who is at fault for the accident. A skilled vehicle accident personal injury attorney can fully assess the scene of the accident, and help prove why the other driver is at fault for injuries and damage, and why the responsible party needs to be held financially accountable. Dealing with Claims Adjuster Pressure – Many individuals that handle their own personal injury claim struggle with the pressure placed on them by the claims adjuster to settle the case before hiring an attorney. A skilled lawyer can show their client how a quick settlement is not in their best financial interest. Statute of Limitations – Illinois law has a specific statute of limitations on how long a victim can file a claim or lawsuit for injuries suffered though the negligence of another. A skilled attorney can determine exactly how long that statute of limitation is based on the merits of the case, and file all the necessary paperwork in a timely manner. It is essential to take the time to hire the right attorney to handle a personal injury case. A Plainfield personal injury lawyer can answer any question on how to best handle the claim for financial recompense. Call Rosenfeld Injury Lawyers LLC today to discuss your case.